And it’s not just general news sites. “Breaking news” is featured in the title tags of sites covering sports, entertainment and a wide range of topics. Seeing this term targeted so often got me wondering, does anyone actually search for “breaking news”? 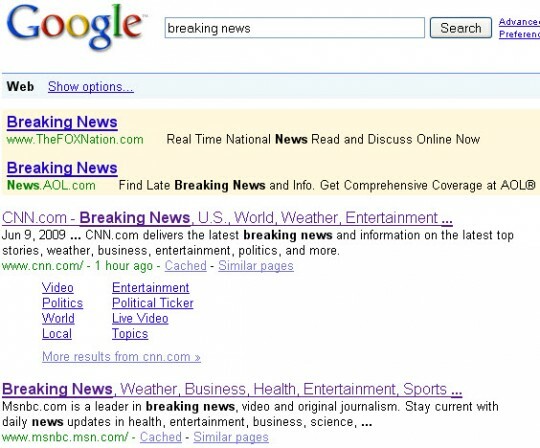 And if I want to get an overview of the current news of the day I’ll go to Google News or Yahoo! News or direct navigate to a major news site. But I don’t think I’d ever simply type “breaking news” into a search engine. 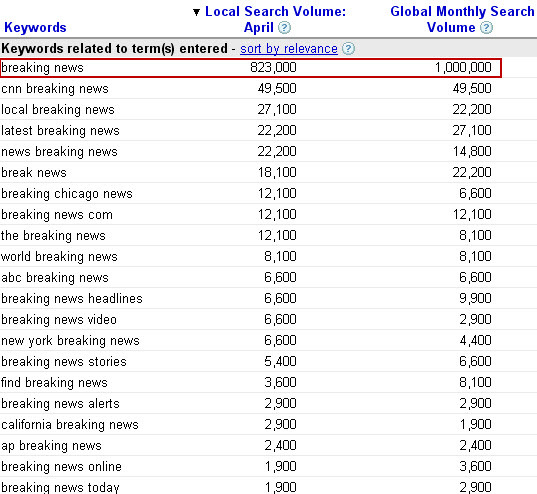 Currently CNN.com and MSNBC.com are the top two listings in Google for “breaking news.” It would be interesting to learn how much search engine traffic they are getting from that specific term.